Lets starts with your name, what is your name? My name is Sylvia Stein. Tell us about your childhood, where were you born, schooled and that kind of stuff. I was born and raised in Brownsville Texas. I lived with my mother and my grandparents the oldest of five children. I attended Public School then went on to pursue my Bachelor of Arts with a major in Spanish and a Minor in English. I became a teacher and taught English, and then I moved to Raleigh North Carolina and got my Teaching License where I taught Spanish from 2003 until 2008. I live in The city of Raleigh NC, in the town of Fuquay Varina. What about your writing, did you ever know you’d be a writer? Yes I always wanted to be a writer since when I was about seven years of age. However, I grew up around some family that would say that was not a career but a hobby and sadly that self doubt took over me. I always created stories in my head as a way to travel into different places and also play other characters. 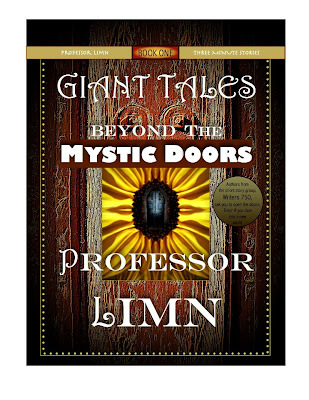 So then tell us about: Giant tales: Beyond the Mystic doors. Giant Tales: Beyond The Mystic Doors is a book written by sixteen very talented new writers who share their different three-minute short stories and each story creates a new adventure and character. Okay, that's creative. And who’s your favorite author. Well, that's a hard question because there are many... but if I had to choose one I would pick Jodi Picoult, because of the way she writes her books and her unique way of story telling. Sylvia, how do you define author success? The way I define author success is by paving it forward to yourself and others when you write. It is important that you write your stories and also give others a chance to always do so. And what do you think of author groups? I love them. I especially love The World Literary Cafe which was started by Best Selling author Melissa Foster. She is not only a best selling author but a great mentor for other authors. Her along with other authors help in their #ShareThe Love4Authors and also Melissa’s Awesome Support Team which helps with tweeting out any type of promotions you may have going for your books. I'm totally with you there...Melissa Foster is great help to indie authors. Talking about authors...when did you first consider yourself as a "writer"? I first considered myself a writer when I met Melissa Foster through Facebook and she inspired me to pursue my writing and not to give up. So now that you stopped teaching in 2008 what do you do for work? Yes I work Customer Service to pay my bills for now. However I am also taking online classes through the Southern New Hampshire University for a Master’s in Creative Writing. How many books have you written so far? What is the name of your latest/ upcoming book, and if you had to summarize it in less than 20 words what would you say? Right now I do not have a publisher. I plan to self publish through CreateSpace. For me it has taken about a year to write my upcoming Thriller. My books Genre differ... from Fantasy, Mystery, Spiritual and thrillers and right now I am loving our first Anthology because it carries 4 of my own stories. I am really proud of all of the stories and I love the 4 of mine that were chosen. Keep that fire Sylvia, and now that you've spoken so pationatelly about your books - do you have a favourite character from your books? and why are they your favourite? The favorite character of my books will be Sadie which is from my upcoming Thriller Battered mind. She is very misunderstood and she will take us on a very emotional and profound journey which will tell us more about her. And as you write these stories, what inspires you? I guess I get inspired by my characters... they drive me into their world and I get carried away by the story they are wanting to tell. Do you have anybody read your stories and give you reviews before you officially release them? Right now I have people in my Writer’s group and family and friends read my work. However I am trying to also get Beta Readers. Now this is one of my favourite questions to authors: How do you market/promote your books? I promote the books through Social media also through my blogs. I mainly Facebook, twitter, LinkedIn. Almost every writer's dream is for their book to be a bestseller. In your opinion what makes a bestseller ? I think what makes a book a good best seller is when a story is able to capture your attention from beginning to end and you can feel all that the character is going through. I feel if the story is able to carry you in with it then its on the right path to being a bestseller. Let's personal again: What do you do to unwind and relax? I like to unwind and relax with my family. My husband and kids. I love being with them. I also unwind with a good book or when I have time to write for a few hours at a time. And as we wind up Sylvia,where can readers follow you? Amazon : Giant Tales: Beyond The MysticDoors. It has been a pleasure having you here Sylvia, we definatelty wish all the best and hope to talk to you again soon. thanks so much this means so much. I love the interview and thanks for having me! You're most welcome Sylvia... I wish you all the best! Same to you and if you were want to be a guest on my blog let me know! thanks again! thank you and I appreciate that very much and I will certainly take a look at your page! I know this website gives quality depending posts and additional stuff, is there any other website which offers these kinds of things in quality? thanks for stopping in and I will join your blog as well! Hello! I found your blog through the WLC Blog Follows on the World Literary Cafe! Great to connect! Please visit my blog, and if you enjoy my post, click "Like and/or leave a comment. I appreciate the support. I'm following you now. So I'll be stopping by from time to time, and I will leave proper comments. 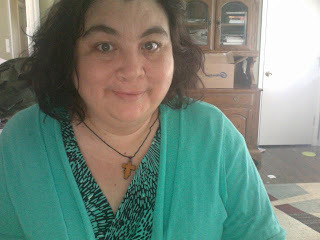 thanks for stopping in and I will visit your blog and I am glad you stopped in from WLC Blog Follows!